Diane Karr and her family raise soybeans, corn, beef cattle, alfalfa, grain sorghum and wheat on their Nebraska farm. Like any business owner or manager, we face a constant challenge of meeting the needs of today while building our farm for the future. When we consider the best ways to grow and manage our crops, we look for things that will help protect the environment and benefit the crops themselves. 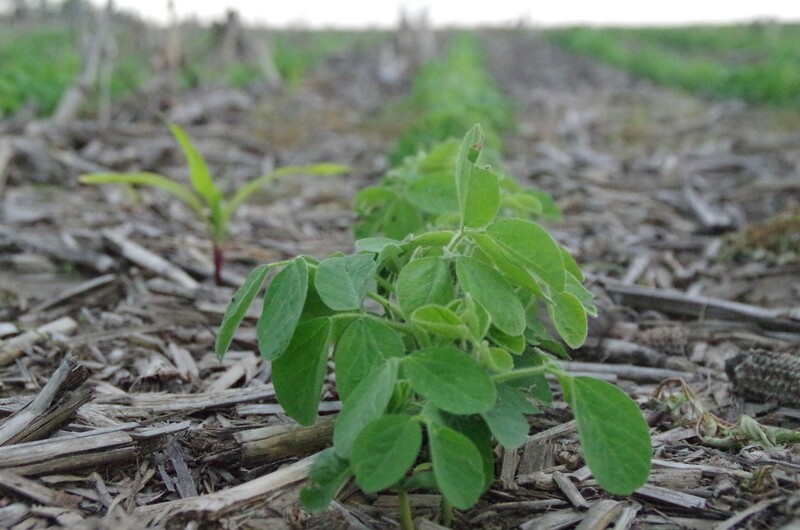 Preventing soil erosion: Our weather is often volatile and unpredictable here in Nebraska. We have a lot of high wind days – especially in the spring, but also in the summer and fall. By reducing or eliminating tillage and leaving a portion of the previous year’s crop on the surface of our fields, we can help keep our productive top soil in place. Protecting and conserving water: One of our biggest challenges to growing crops is the availability of water. We often joke that the radar always looks like it’s raining in Iowa after missing us in Nebraska. With conservation tillage, the crop residue left on our fields acts like mulch and helps the soil hold moisture and causes less runoff into the local watersheds. Improving soil health: Conservation tillage helps build soil structure and organic matter, which greatly improves the soil’s nutrients. This leads to a more healthy and resilient crop. We saw this firsthand when a fire burned some of the crop residue off our fields a few years back. We could see a significant difference in yields the following year. Conservation tillage is just one example of how we’re working to support sustainability on our farm. We also use precision agriculture technology, cover crops, crop rotation and the latest seed technology to limit our environmental impact. Want to learn more? Visit the CommonGround website to learn about how other farmers are working to make agriculture more sustainable every day. Thanks for pointing out that conservative tillage can help improve crop sustainability. My dad is thinking about hiring a company to help him with strip tillage this year on his farm. I think that it would help him make sure that his farming is the best it can be and that he gets the most out of it without ruining anything.